This option works best for new entrepreneurs or those looking to add a new service to their expanding business and are wanting to ensure they are create balance and attend to their emotional well-being throughout the process. 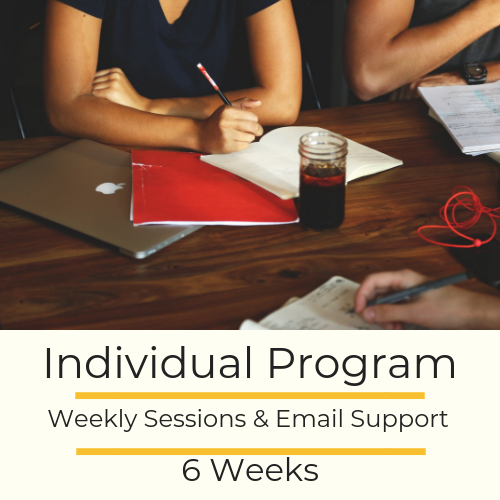 This option is a 6 week program tailored specifically to your needs and goals. 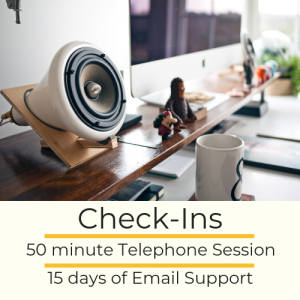 This program includes weekly video or telephone sessions along with email support for $599. There is a payment plan available for this plan. Planning to start your business within the next 3 months? Experiencing fear in making the leap from a full time job to opening your own business? 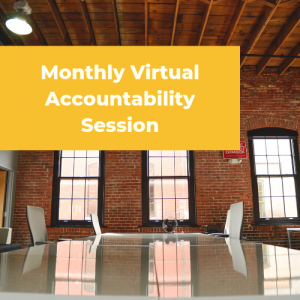 Experiencing increased isolation, concern, and distress while managing several jobs? Lacking emotional support with your business vision and goals? Interested in learning and implementing a personalized plan for self-care for your busy life? If any of this sounds familiar then this is the program for you!